NASCAR driver William Byron listens during a media event at Hendrick Motorsports in Concord, N.C., Tuesday, Jan. 22, 2019. The Daytona 500 is scheduled for next week, Sunday, Feb. 17. 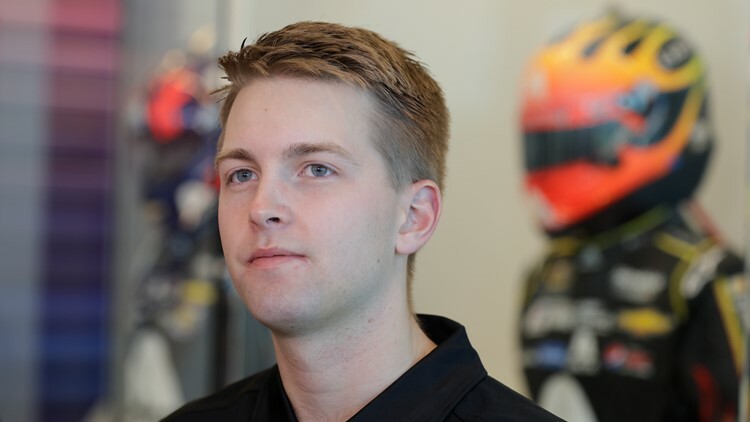 DAYTONA BEACH, Fla. — William Byron has won the pole for next week's Daytona 500, giving Hendrick Motorsports the top starting spot for the fifth consecutive year.